NZIIA Seminar: 'A Historical Perspective on the Agency of the Displaced: Hospitality or Refuge'. Since ancient times, the concept of refugees and displacement has been an old one. But how much has it changed throughout human history? By the end of last night's seminar by speaker Elena Isayev, Historian and Professor of Ancient History at the University of Exeter, the answer: not much. Using ancient sources and texts, Professor Isayev’s seminar explored the concepts and themes of the displaced, or in this case "The Stranger". First using the ancient Mediterranean as the starting point, the seminar explored the potency of refugee agnecy and the innovations that emerge in the lesdt expected contexts to re-claim, and re-frame, the so-called ‘non-exceptional’ state itself. The inflow of people into many points of southern Europe demonstrates the huge impact that refugees are having on economic, political, and social circumstances in the European Union. Professor Isayev has a particular perspective on this inflow, as an expert in the ancient history of the Mediterranean area. The difference between now and then, the Professor first highlighted, lied in the fact that there were no 'borders' and passports back then. In actuality, migration was only permitted depending on the refugees' status and reason to be in the land they were displaced in. And when these refugees did flock, it created problems. However, it did not necessarily create problems in terms of getting rid of the refugees, but rather how to keep their own citizens from leaving. These factors have remained still to this day. To help Illustrate her points further, she looked towards ancient texts, such as Homer's The Odyssey and Aeschylus' The Suppliant Women (two prominent texts used by the Professor) and others. The former is seen as an example of migration as it tells the tale of Odysseus (known as Ulysses in Roman myths), king of Ithaca, as he sets on his journey home after the fall of Troy. The theme of wandering is evident as Odysseus wanders from place to place and encounters humble and sinister hosts after another on his ten year journey back home. The same applies to the latter text as it follows The Danaids as they flee to Argos to escape their forced marriages to their Egyptian cousins. This has created a contradiction in the predicament of such seemingly helpless groups like the Suppliants in Aeschylus’s tragedy. We find these helpless victims clinging to an altar between sea and polis – trapped in a liminal space. They are at the mercy of their reluctant protectors and have become stateless, even though they are not actually. Therefore they are without any rights whatsoever. Such a state of exception has been the center of every situation regarding displacement from the ancient Mediterranean to World War II to the Dadaad Refugee Camp in Kenya. The latest refelctions on the current predicament shows the inability in the articulation of displaced people in terms of rights and agency. Instead a re- investigation of scenarios both ancient and modern, reveals the potential, and arguable necessity, for continued action and self-determination – leading to a politics that challenges the helplessness implied by exceptionalism. To shed some light on last nigh’s speaker, Professor Isayev, in addition to being a historian and a Professor, is also a practitioner investigating human mobility, constructions of place, and the potency of displaced agency. She also works in current refugee contexts including with Campus in Camps in Palestine; as a trustee of Refugee Support Devon; and she is founder of Future Memory, which co-creates initiatives with artists in communities where there are tensions. In addition to her published work Ancient Lucania (London 2007), and currently co-editing Displacement and the Humanities, her latest published work Migration, Mobility and Place (Cambridge 2017) will be released in June. Film Review: "King Arthur: Legend of the Sword" (2017). "From myth to legend." "From nothing comes a king." "Take back the kingdom." 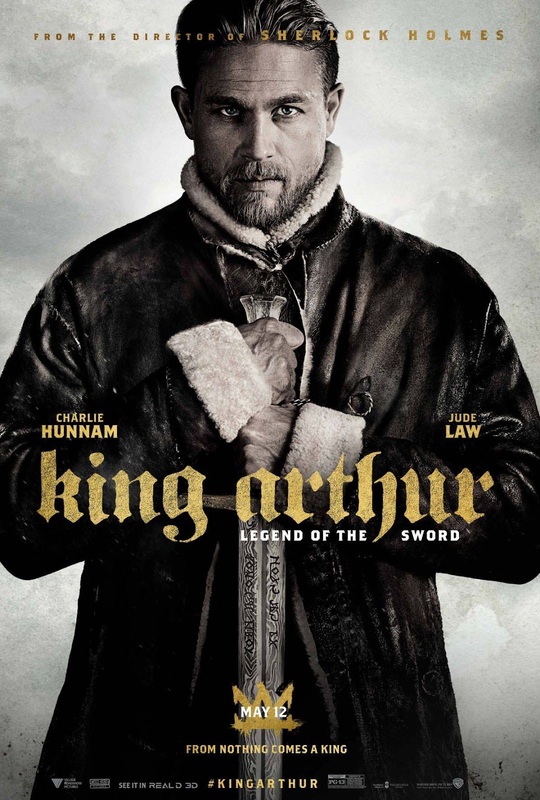 These taglines all describe King Arthur: Legend of the Sword. This fantasy epic film directed by Guy Ritchie, written by Ritchie, Joby Harold and Lionel Wigram, loosely based on the Arthurian legend. Robbed of his birthright, Arthur comes up the hard way in the back alleys of the city. But once he pulls the sword from the stone, he is forced to acknowledge his true legacy - whether he likes it or not. Warner Bros. had tried to remake John Boorman's Excalibur (1981) with Bryan Singer to direct. But due to the commercial failure of Singer's Jack the Giant Slayer (2013), it was ultimately cancelled. Instead, Warner Bros. went through several stages to bring the Arthurian legend to the screen. The first version was to Kit Harington as King Arthur and Joel Kinnaman as Lancelot with David Dobkin at the helm. However, the cast was deemed too unknown, so it was delayed. The second version was to star Colin Farrell was cast as King Arthur and Gary Oldman as Merlin. However it was inevitability dropped as it was deemed too expensive. Ultimately, Guy Ritchie's pitch was eventually green-lit with a script by Ritchie, Joby Harold and Lionel Wigram, under the working title of Knights of the Roundtable: King Arthur. The film was intended to be the first installment of a planned six film series. Ritchie then rounded his knights, Henry Cavill and Jai Courtney were among the list of contenders to play the title role. However, Ritchie's top choice was Charlie Hunnam. The final audition comprised two rounds. The first was a sit-down chat with Ritchie and the second round was a full-fledged audition. Ritchie instantly liked Hunnam after their ninety-minute talk. Hunnam performed equally well in the audition and won the role. For the female lead, Elizabeth Olsen, Felicity Jones and Alicia Vilkander were among the actresses considered. Ultimately, Ritchie cast Àstrid Bergès-Frisbey. By late February 2015, the cast had been rounded with established character actors that included Djimon Hounsou, Aidan Gillen, Jude Law and Eric Bana. Principal photography began in March. Locations included Windsor, North Wales, the Northwest highlands of Scotland and the Warner Bros. Studios in Leavesden. Initially set for a July 22, 2016 release date, Warner Bros. then moved the date to February 17, 2017 in December 2015. Then in January 2016, the film was to be pushed back again to March 24, 2017. In July 2016, the title was changed to King Arthur: Legend of the Sword. In December 2016, the release was pushed back once again to May 12, 2017. The film stars Hunnam, Bergès-Frisbey, Hounsou, Gillen, Law and Bana. The cast were unfortunately a letdown due to their underdeveloped characters and atrocious dialogue, despite their best efforts. King Arthur: Legend of the Sword is both a wondrous vision and a mess. The film is all images flashing by with atrociously developed characters and dialogue, so we miss the dramatic intensity that we expect the stories to have. But thanks to Ritchie, there's always something to look at. Also, see my review for The Man From U.N.C.L.E. 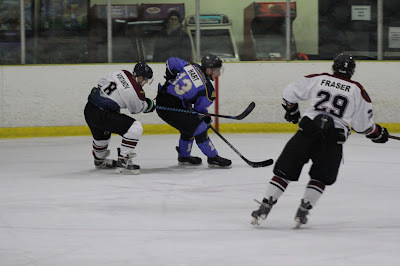 NZIHL Preseason: Botany Swarm vs. West Auckland Admirals - Part 3. 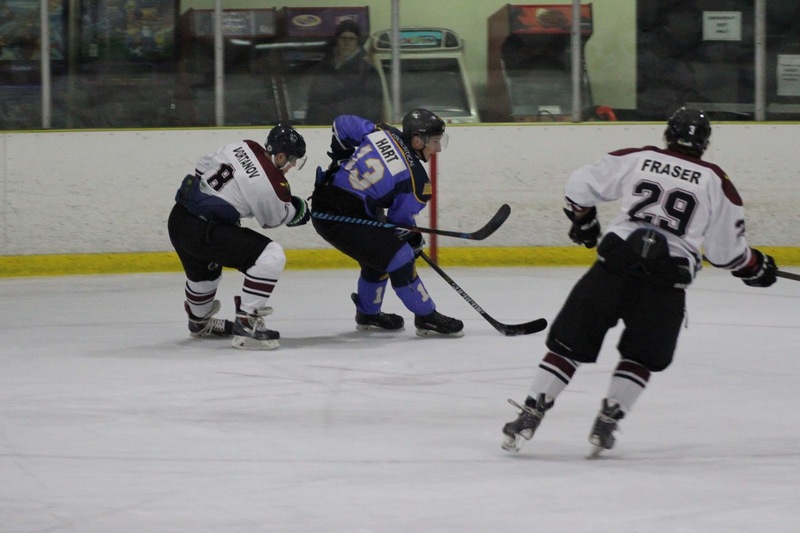 NZIHL Preseason: Botany Swarm vs. West Auckland Admirals - Part 2. Film Review: "Alien: Covenant" (2017).